I admit I have a problem with saving catalogs that I often reference for ideas – I can not seem to let them go. I like to keep at least the current year issues handy under my computer desk so I can quickly get to them. Today while doing a little organizing I wasn’t happy with the random basket underneath my secretary desk – It was looking a little cluttered and not really part of the space. I started looking online for storage options and was crazed at the prices of some baskets…$16-$24 dollars! I am sure that they were really nice but still it’s just a basket! I decided to let it go and just put it on my ‘look for a deal on these’ list until I remembered reading a post from Beth at The Stories From A to Z. I was then inspired and determined to find something in the house to make this work! Now I know this looks crazy – an empty baby wipes box and duct tape – but just wait it gets better, I promise! This box is absolutely the perfect size for holding catalogs. It’s wide enough plus with the sides up it is tall enough that the catalogs actually sit inside and do not stick out of the top which makes it appear even more organized in my opinion. I secured the box flaps up with the duct tape and reinforced the insides as well. This does not have to be perfect because it is all going to be covered so tape away! I had some creamy white burlap left over from my Thanksgiving Banner that I thought would be perfect to use. Since the box was a little crazy colored I gave it a light coat of spray paint so you would not be able to see it underneath the burlap. After it dried I cut the burlap for the front and back of the box leaving a two inch overhang on the top and bottom. Using spray adhesive, I gave the front and back a good coat and smoothed out the burlap on top. To my surprise it held very well. I hot glued the top over hang inside the box as well bottom overhang to the bottom of the box.Next I tackled the sides. I wanted them have a finished appearance so I cut the burlap leaving a three inch overhang on each side and a two inch overhang for the top and bottom. I would have taken some pictures but my battery died and I was too impatient to wait for it to charge..I was on a mission! With the cut burlap laying flat I created a hem on each side simply by folding over the edge and hot gluing it down. (That is what the three inch overhang was for) Once the hems dried I attached the burlap to the side of the box again using spray adhesive. 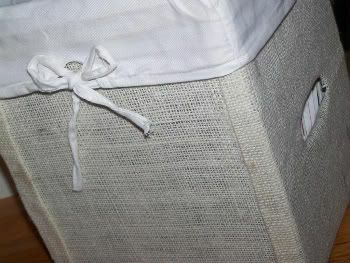 The hems were folded over the sides and hot glued into place leaving a nice neat edge. This particular box happen to have open handles on each side which I just cut a small hole through the glued on burlap creating several flaps that I folded and hot glued to the inside. I had a sewn basket liner lying around that fit the box opening *lucky me* almost perfectly. It’s a little big around the edges but will do! I cut the bottom out of the liner because it was a little shorter than the box. You can’t tell or even see when you have your catalogs in place! Ok You are brilliant! I LOVE LOVE LOVE This!!!!!! Oh my. That is fabulous. I’ll look at empty boxes in a whole new way! I could really use some more storage, this is a great idea. Thanks for linking up! Oh my word. How smart and so craft! I have to copy this idea. I want matching bins in my sewing room. You are so smart. Thanks for sharing your craftiness. I have check out that Thanksgiving Banner. Come by and see my 2nd Time (non crafty) post! Well I just read all your posts and I love the last one. I am glad you started a blog. Loved the halloween treats how sweet of you to remember teachers. I loved the Thanksgiving Banner and was going to suggest you post on White Wednesday. Then I saw the kitchen redo. You really should post on Wed. come by my blog for the link. Love the idea..how ingenious of you. And so great to recycle. I totally understand about the catalogs. Heck they are sometimes better decorating inspirations than the overpriced magazines out there. Love it. You are very creative and frugal. A perfect combo. Genius! Nothing better than pretty organization! Great looking box! Thanks for linking to 2nd Time Around! What a terrific budget minded project. I love the idea. Clever you. It looks fab and not home made. This is a great idea. I often wonder what can be done with sturdy trash–if that makes sense. Do you have any ideas for the plastic cups that come w/liquid laundry detergent?? 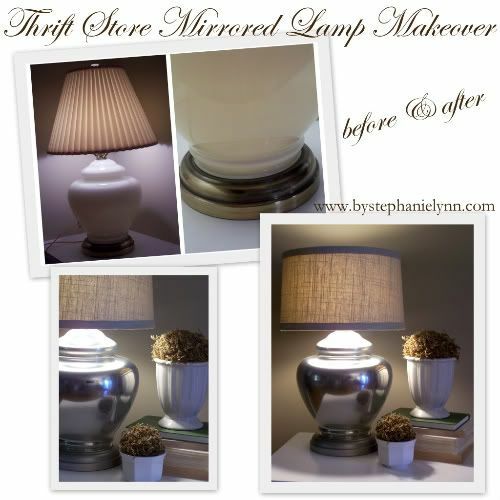 Fab idea, expensive look on the cheap!!! Thanks for the inspiration. I LOVE this idea. I had bunches of these boxes laying around until a few months ago, but my daughter is finally potty-trained. Looks like I’m going to have to find someone with a little one who will give me some of theirs, because I really want to try this project! I really love the way these turned out! They look awesome AND they’re functional (and inexpensive) – what could be better? Great job! OH my gosh! How creative! Love it!! 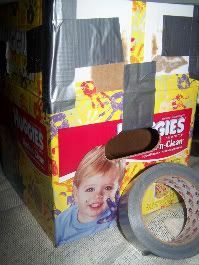 Imagine all the boxes I could have made through two kids with diapers- darn it! That is one of the best ideas I’ve seen in a long time! Thank you! I will definitely be doing this soon! It looks great ~ love the burlap with the liner! Too cool, easy and cheap!!! My kind of project!! Love it!!! This is amazing… Love it!!!! Now aren’t you a smart cookie? The answer is yes. This is fabulous. Wow! Impressive! I NEVER would have guessed that cardboard box was underneath the burlap. Very clever idea. Your finished storage box is lovely. Awesome idea. Good thing I have a baby. Boxes are very handy indeed. I made one of these using a paper box. I love it! So easy and so cheap! I’m a new follower from Canada. This is a great idea that I am ging to try as well! A very useful box which can be used in a number of ways!! I just found this, and you’ve saved me! Awesome idea. Works very well with the burlap, doesn’t it? Great blog ~ I’m subscribing for sure. I have been chewing over a solution like this for some time, because big square baskets are expensive, as you say! 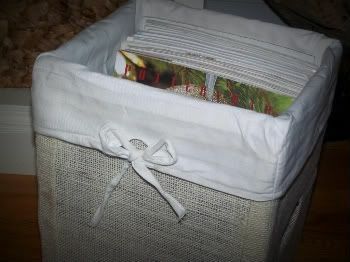 I kept thinking of sea grass wallpaper, nubby upholstery fabric, etc when all along I had burlap in my stash. Doh! Excellent idea with great results. Thanks! I’m so doing this project! I’m trying to think of a way to convert it into some sort of filing system. 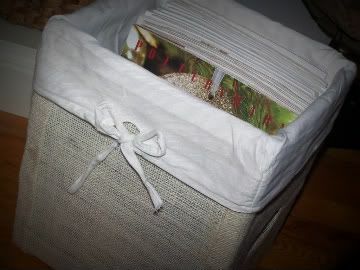 Love that you repurposed a wipes box! 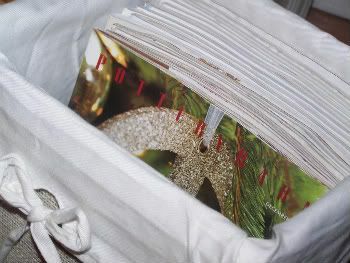 I also like to keep all of my magazines, and have a variety of them; Women’s Health, Good Housekeeping, Women’s Day, etc. I went to a MOPS meeting last year and it was all about organizing. I picked up this little tip and I LOVE it. Get a cute simple binder and some clear sleeves to put in them. Whenever I get a new magazine I go through it, and every article or page I want to keep, I rip out and put it in the clear sleeve under that magazine’s catagory, and recycle the rest of the magazine. It has saved SO much room and whenever I want to refer to it again I know right where to go! great job! i mistakenly bought a besta tv lowboard from ikea and have been wanting to find some “drawers” for it, but now i could attept to make them myself… 🙂 thank you so much for your inspiration!